In recent years, studies have increasingly suggested that consumption of nuts can boost heart health, as nuts contain unsaturated fatty acids, fiber, protein, vitamin E, folate, and several minerals, such as potassium, zinc, and magnesium. Nuts also boast additional bioactive chemicals, including phenolics and phytosterols. A 2016 study in the British Medical Journal reinforced the assertion that “higher nut consumption is associated with a lower risk of all-cause mortality, total CVD, CVD mortality, total CHD, CHD mortality and sudden cardiac death.” Another 2017 study published in the Journal of the American College of Cardiology reported that diabetes risk drops by 40 percent with only 20 grams of nuts each day, and the risk of infectious diseases is lowered by 75 percent. Yet while most of the findings stemmed from observational studies with limited sample sizes, a systematic review of clinical trials spanning the last 25 years has confirmed that nuts can indeed benefit cardiovascular health, optimize the aging process, and minimize the risk of stroke and coronary heart disease. Led by Marta Guasch-Ferré — a research associate in the Department of Nutrition at the Harvard TH Chan School of Public Health in Boston, MA — a team of scientists conducted a large-scale review of various studies that focused on the correlation between nut consuption and heart health. Some of the study’s participants had conditions such as high cholesterol, type 2 diabetes, metabolic syndrome, and obesity. The scientists evaluated the benefits of a diet rich in walnuts, and compared it with low-fat, Western, Mediterranean, and Japanese diets. 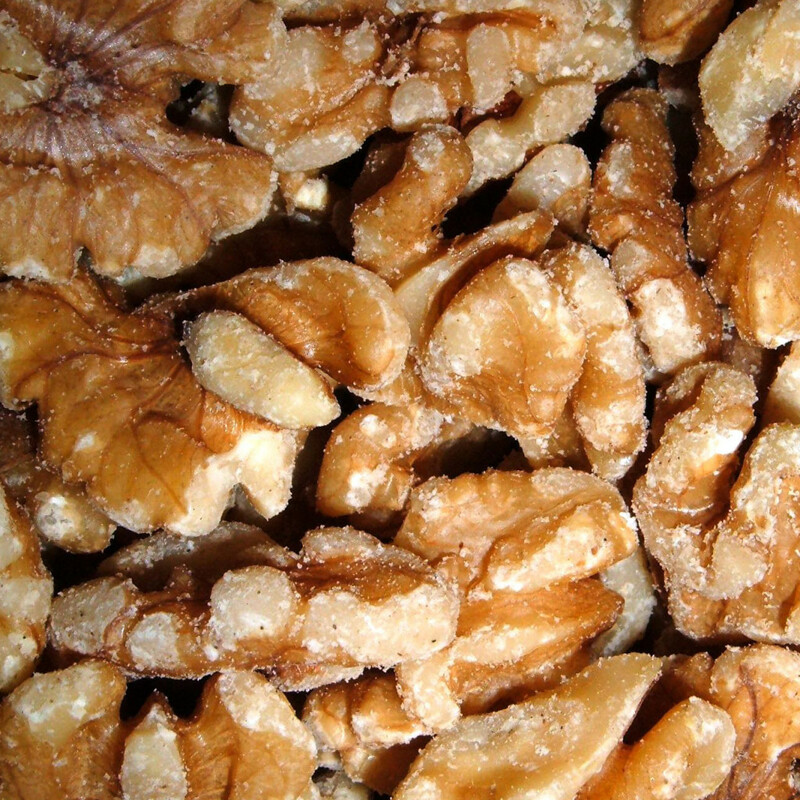 Their findings indicated that walnut-enriched diets provi“more significant reduction in cholesterol levels and other markers of cardiovascular health when compared with these control diets.” More specifically, a diet rich in walnuts yielded a 3.25 percent greater reduction in total cholesterol levels, a 3.73 percent greater decrease in low-density lipoprotein (LDL) cholesterol, and a 5.52 percent greater reduction of triglycerides.